Come join us for the "Autism Friendly Films" program at Emagine. 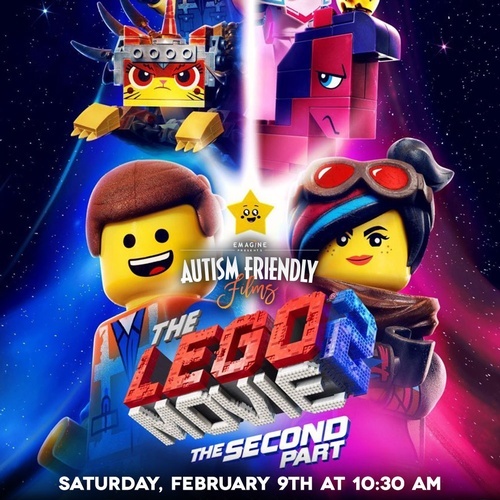 This sensory friendly special program makes going to the movies a more enjoyable and accessible experience for families, children, and teens on the autism and special needs spectrum. What does Autism Friendly mean? First, it means sensory friendly (lights up a bit, sound down a bit) Second, if your child needs to get up, move, dance, sing, no problem! Third, if your child has food allergies or is a picky eater you're welcome to bring your own "safe" snack for them. It's been five years since everything was awesome and the citizens are facing a huge new threat: LEGO DUPLO® invaders from outer space, wrecking everything faster than they can rebuild.